“Mama told us the story many times of her father, Anderson West, who had come from a wealthy family and was at Ole Miss with his private slave when the war broke out and how he left with the University Grays and then joined the military unit from Holmes County. 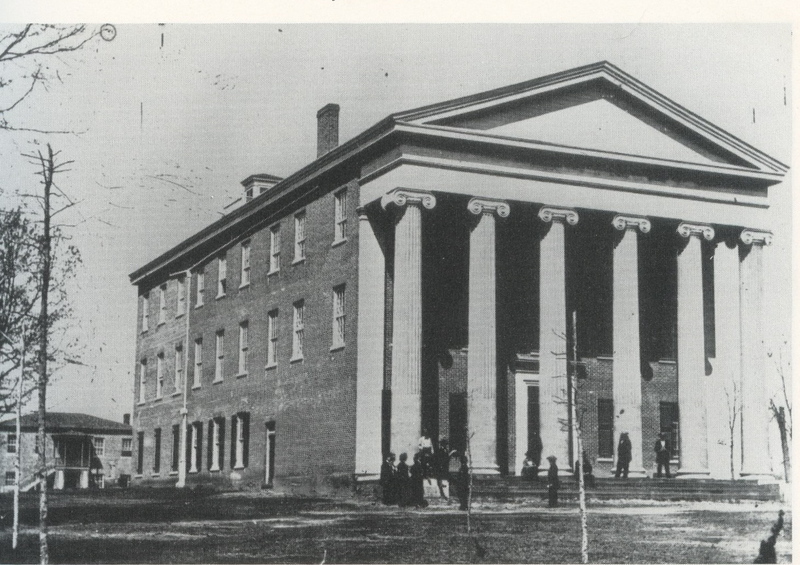 Lyceum at Ole Miss, 1861. I've always wondered if Anderson West is one of the young men in this photograph. He was a freshman at the time, soon to leave for the war and never return to Oxford. Tombstone of Elijah Sproles, CSA, Saron Cemetery in Holmes County MS.
We were immersed in Civil War history as children, which is not so remarkable when you consider that our grandmother, Sara’s mother, had grown up as the daughter of a Confederate veteran and was one of the last surviving Confederate offspring when she died in 1983. 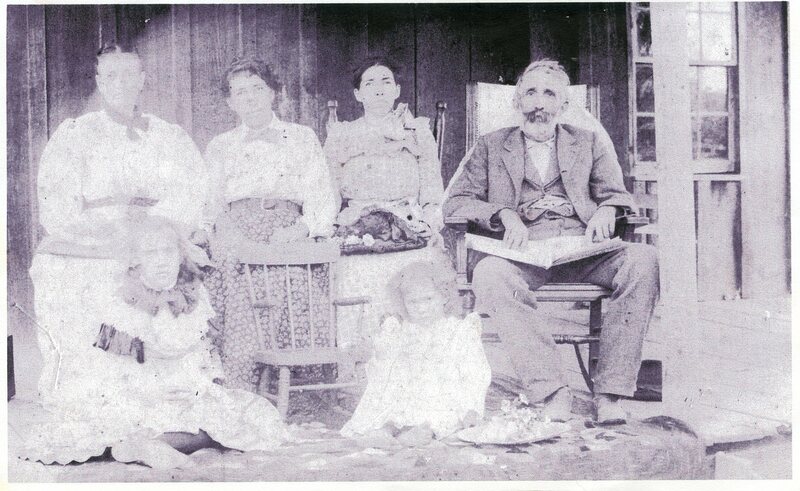 Anderson West was probably not as rich and well-healed as Sara and Jessie claimed, but he did have the family resources to be at Ole Miss in 1861, along with his own slave. That automatically placed him in some upper echelon of young men in Mississippi for that time. And he was swept into the campus hysteria that preceded Fort Sumter, intensifying after shots were fired in Charleston in April, 1861. He did sign up for the University Grays but his father, John West, refused to sign the permission slip for his participation in that doomed outfit, thank goodness. Isn’t that odd, that they were sent home with permission slips, like a release to go on a school field trip? Did no one have any clue what was coming? Anderson wound up joining a Holmes County (or was it Grenada County? I’m unsure) regiment, and we have no knowledge of whether that was done with his father’s blessing or against his will. Regardless, Anderson, his father and several of his brothers left for war. He never made it back to Oxford and by the time he returned to Holmes County, that personal slave and whatever treasure the Wests claimed was gone. Jessie remembered him as bitter and bored, but she was not born until he was 52 years old and beaten down by life. He died in 1911 and is buried in Mizpah Cemetery, Durant. Bigma, Anderson’s mother-in-law, was scarred by the war as well, with only one of her three brothers returning from the conflict. I can remember my first trip to Vicksburg, probably when I was around 5, and Sara’s dramatic recounting of her great-great uncles being buried in the trenches. I worried about that for years, through countless trips around the Vicksburg Military Park. 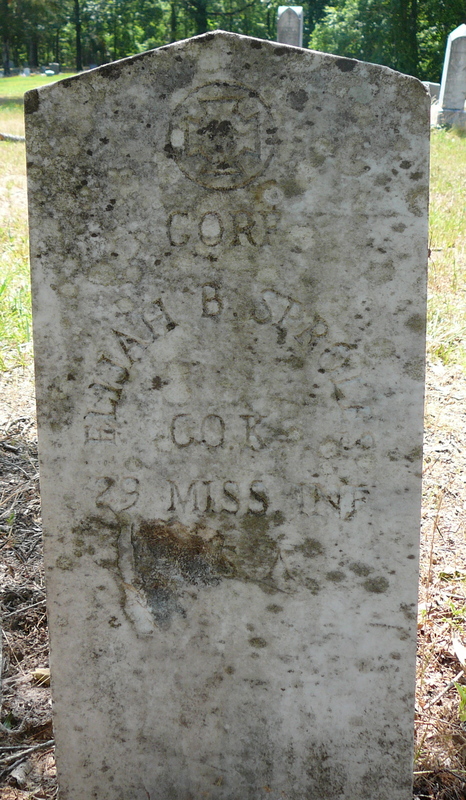 Just a couple of weeks ago, we found this tombstone in Saron Cemetery, near Castalian Springs, with Elijah Sproles’ name on it. He was likely one of Bigma’s brothers, but there’s no death date on the stone and no way to know without further digging (no pun intended) if he was the brother who made it home or whether this is simply a sad marker for a man who was left in the trenches of Vicksburg. Faulkner said the past was never dead, not even past, and if you can’t feel that in Saron Cemetery or Vicksburg, you’re not paying attention.